First ever vinyl reissue - remastered from the original reels - 180gm vinyl. 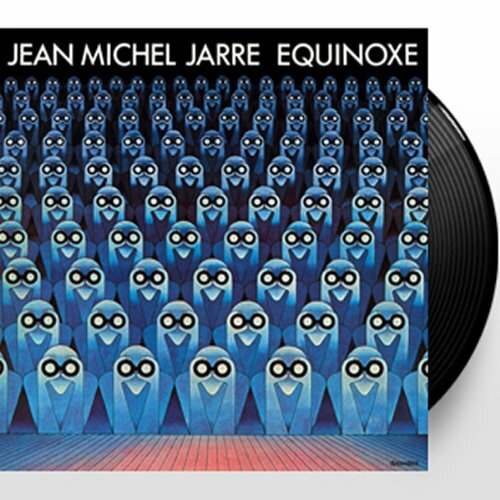 Jean Michel Jarre released Equinoxe in 1978. If Oxyge`ne was a hymn to the air, Equinoxe was an ode to water; music that was fog, mist, almost organic. Jarre created in eighteen months a veritable electronic symphony of intertwining melodic themes. The electronics allowed him to evoke, not imitate the sounds of nature. He recreated them on a synthesiser like Fellini had recreated the sea or the sky at the Cinecitta` studio, giving them a personal colour or rhythm. If you have any questions about this product by Dreyfus, contact us by completing and submitting the form below. If you are looking for a specif part number, please include it with your message.